2 separate, furnished bedrooms complete with full bath, shared kitchenette and separate living area. Opened in 2016, Boyd Hall is named after Cleona Belle Matthews Boyd, who taught Greek and Latin and was president of the UK Woman’s Club in the early 1900s. 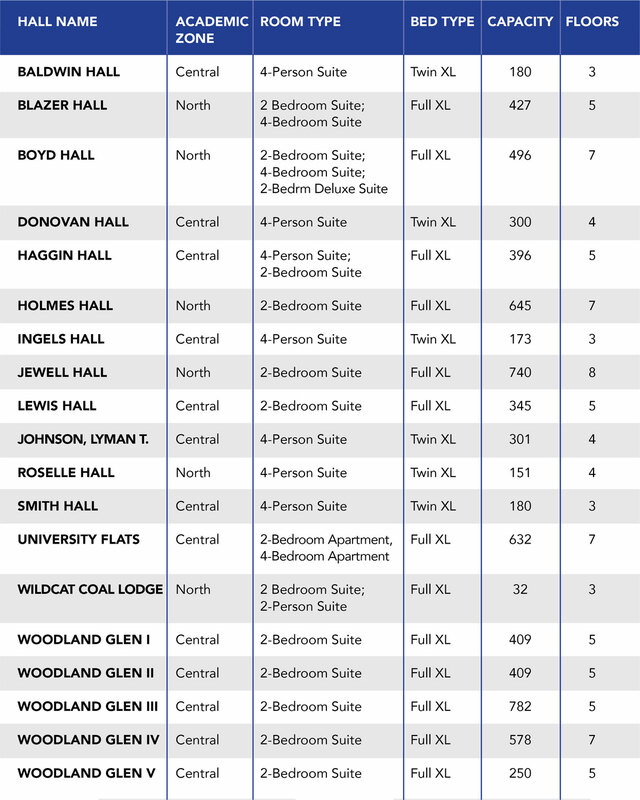 The room types in Boyd Hall are the two-bedroom suite, four-bedroom suite and two-bedroom deluxe suite. 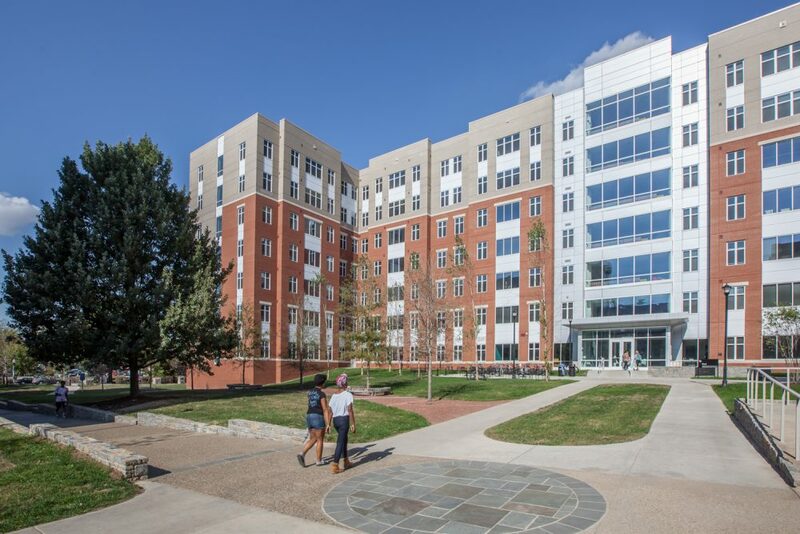 *Boyd Hall is a Break Housing hall during both the 2018-2019 academic year and the 2019-2020 academic year. It remains open during all academic recesses of the University (August 22, 2018 to May 3, 2019) to accommodate students who require housing during these periods. Located on North Campus, Boyd Hall is a quick walk to downtown Lexington, the UK Bookstore, Memorial Coliseum and Bowman’s Den.